Being the premier car service in Hackensack for the so many years we are regularly asked for restaurant recommendations. This article is meant to highlight some of the best restaurants in Hackensack, New Jersey. 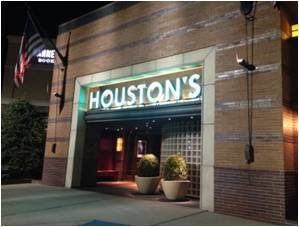 Houston’s, located at the Shops of Riverside, is an upscale American restaurant with a relaxed and comfortable atmosphere. Our clients consistently rave about their food. Some of their most popular dishes are the Chicago Style Spinach Dip, House-made Veggie Burger, Famous French Dip Au Jus, and Center cut Filet Mignon. Morton’s offers an experience to remember and possibly the best filet in town. They serve the finest quality foods, featuring USDA prime aged beef, fresh fish and seafood. 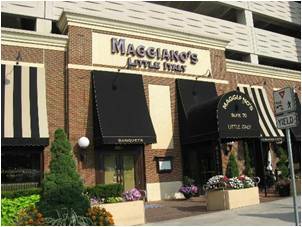 They are best known for their 24-ounce Porterhouse, 20-ounce New York Sirloin and a 14-ounce double-cut filet mignon. 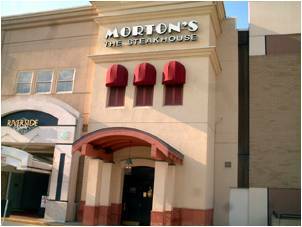 Morton’s is just one of the many fine restaurants located in Hackensack at the Shops of Riverside. Another great restaurant the Shops of Riverside has to offer. Maggiano’s blends the tradition of family, the celebrations of friends, and the cuisine of authentic Italy. The seasonal outdoor patio has an old-world feel of dining on the streets of Tuscany. We repeatedly hear great reviews about their Famous Rigatoni ‘D’. 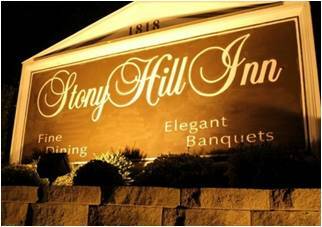 One can’t help but be captivated by the manicured grounds and pristine estate when you arrive to the entrance of The Stony Hill Inn. This Hackensack landmark promises a quiet, refined dining experience. Remember the best way from point A to point B is in a chauffeured luxury vehicle and one of the best names in chauffeured transportation in Hackensack is Aura Car & Limo Service. Take a look at our luxury vehicles. There are a countless number of places in Bergen County that you can frequent to celebrate happy hours. However, you always want to visit a place with a good range of tastes, which means you want a menu with quite a large number of choices. Happy hours offer good discounts on drinks and they provide specialty and standard cocktails teamed up with different beers on tap and in bottles, which includes both imports and domestics. Buffalo Wild Wings Grill and Bar is one of the most popular sports bar in Bergen County. It a great place for your family to visit as it lets you play poker or video games right where you are sitting with the help of controllers. Arcade games and pinball are also games that you can play. They are open until late, so whenever you get your late night hunger strike, you know where to head to. The PJ Finnegan’s bar is known to be one of the finest bars in Bergen County. The pub has a very pleasant and welcoming ambience and offers lunches and dinners at affordable prices with an amazing selection of drinks. The homey walls and décor that are infused with sports memorabilia and Irish art make the customers feel comfortable and relaxed making it a great place to celebrate your happy hours. Another bar that is much talked about a lot is Kinchley’s Tavern that offers the best pizzas in New Jersey. The bar has about ten taps that flow with regional and seasonal brews. Also, paying a visit here will not make you dig a hole in your pocket, so it is surely a place worth visiting. Peppercorns Bar and Restaurant is a great place the offers yummy burgers, bar pies and wings. In addition, brew flows like water there. Locals have unanimously quoted Peppercorns as one good place to have drinks with good company. The Office Beer and Bar Grill is yet another great bar to grab your beer and enjoy watching your favorite games. It boasts around sixty bottles and taps and offers a huge collection of wines and cocktails. The Office is a good place to celebrate happy hours by grabbing a snack, drink or a full meal. Late at night, it is always nice to have a car service hired for your pick and drop. Aura Car and Limo service is a reputed car service in Bergen County. It operates throughout the week and 24 hours a day with friendly and proficient drivers for a safe and timely travel to your destination. They charge flat-rate and meter fares for their services. No matter what the occasion, they will make sure to deliver both luxury and style. The chauffeurs will arrive at the desired location and will look after all your needs promptly. Aura Car and Limo service charges reasonable rates and there is no reason why you should not hire these services for your next happy hour celebration. If you live around Hackensack area, you would probably be familiar with the bars in Hackensack. But, for people who are new to this place, here is a review of the best bars here. Before you venture into any of these bars, we would like to caution you that you should not drink and drive. It would be a good idea to take a Hackensack car service which will be able to take you to and from the bar. In fact, Aura Car & Limo Service can quickly pick you up from your home and take you to the bar(s) and safely bring you back home when your ready. Lazy Lanigan’s: It is one of the best local bars around. With a separate deck outdoors for the smokers, the food here is quite good. A good place to hang around with friends. Harley’s Irish Pub: One of the coolest bars in Hackensack, you will get some great food deals here. Whenever you buy a drink, you will get a good decent burger. There are some pool tables, good music, and lovely booths. Do remember to get the car service in Hackensack while going back home as you might not be in a position to drive back. General Poors Tavern: This is a pub drive bar. They have a wonderful array of soups and some great lip-smacking food. From Steak sandwiches to steam clams, seafood to everything else is really good. And, all this, at really great affordable prices. You can also have breakfast here in the early mornings so that you don’t have to cook after a hangover. Straphanger: Visit this place if you enjoy the pool tables, shuffleboards, dart games and some good food. They have special wing nights when you will get some really good wings. You can get fully drunk here and have a good time. But, while going back; do make sure that you call a Hackensack car service for dropping you back. Potin Stil: If you love burgers, karaoke, and some good drinks, visit this place. All these bars are really good and serve really good drinks. But, don’t risk driving back home if you had more than just a couple of drinks. 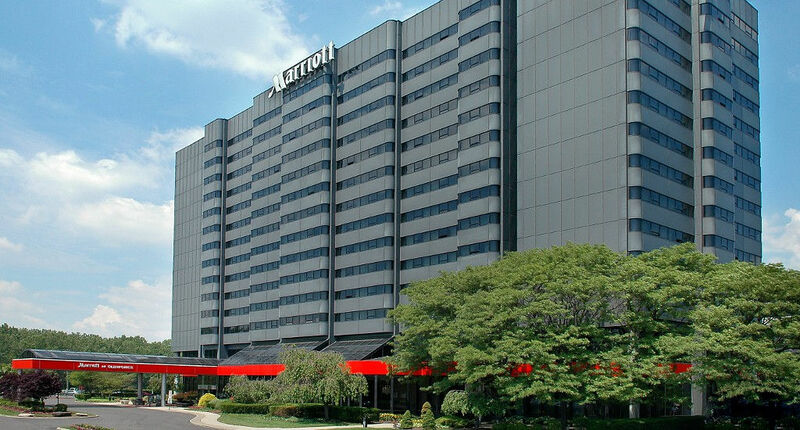 A car service in Hackensack and the best option would be to call Aura Car & Limo Service. Their chauffeurs are professional and will make sure you reach back home safely.